I'm back talking about avocados again. You know how much I love them, right? Did you know that avocados are delicious for breakfast? Sis isn't a huge fan of sweet breakfasts so when we go to Denny's she orders a breakfast burrito with avocado slices in it that is to-die-for delicious. 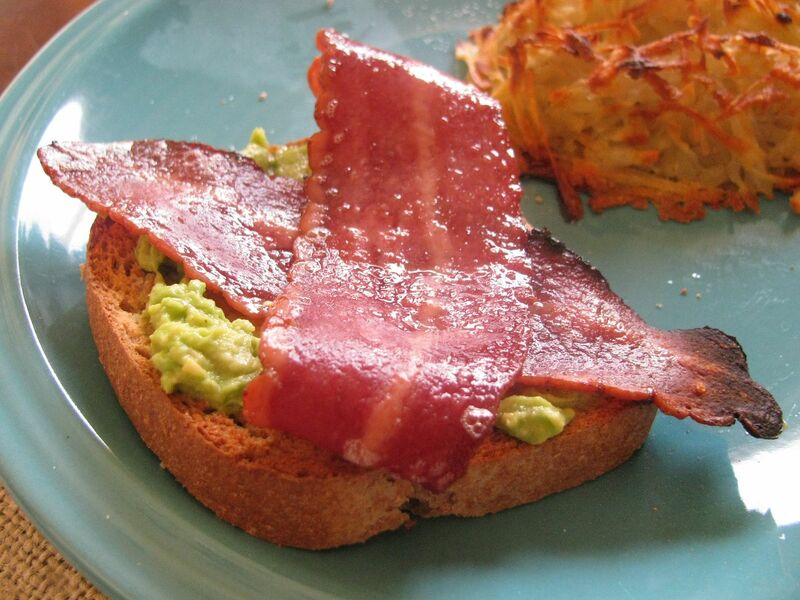 When I was making brunch for my family Saturday morning I also wanted to try Avocado Bacon Toast. It was as big a hit as the Hash Brains were and couldn't be any simpler. Visit Avocados From Mexico on Facebook to find out about and enter their Wake Up a Winner Sweepstakes. You could be the lucky winner of the daily prize, a $200 grocery gift card, or the grand prize,a trip for 2 to a Bed & Breakfast in Napa Valley, California. How great would that be, right? You'll also find a bunch of delicious Avocados From Mexico recipes , so even if you don't win, you win! You can enter once per day between April 4th and May 6th. Good luck, guys!